At Hutchison Ports Pakistan, we believe in taking responsibility for our impacts on the environment and on our local community. We have taken a number of steps to ensure socially responsible operations. The terminal uses the most modern technology and equipment. Latest-technology hybrid rubber-tire gantry cranes (RTGCs) have been imported especially to ensure efficient use of fuel and energy. We’ve included solar energy in our energy mix, to provide electricity for all lighting in our three main, multi-storey buildings. Furthermore, we have installed a regenerative power absorption system (RPAS) so that power generated through crane operations can be used. While the cranes use energy when lifting containers, they actually generate energy while lowering containers (up to 70% of energy used for lifting is regenerated). Keeping in mind the power shortages prevailing in the country right now, Hutchison Ports Pakistan has installed a captive power generation system that provides all the electrical power needed without drawing on the national grid. Hutchison Ports Pakistan’s own power generation combined with the RPAS will achieve a reduction in overall fuel consumption. 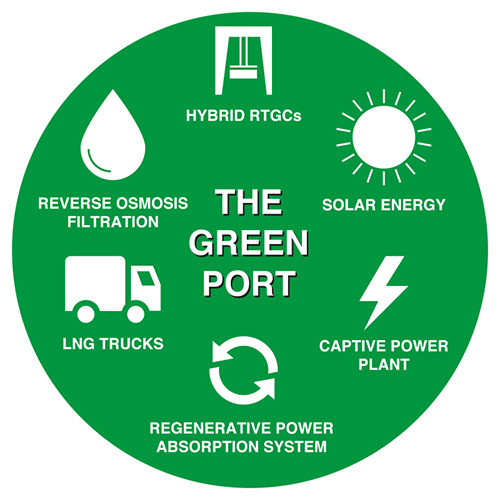 In addition to the above, systems like reverse osmosis filtration are installed at the terminal to provide potable water with the least environmental impact. Our port has also launched a tree plantation drive. Our employees planted 300 saplings within and outside the boundary of terminal. This drive was formally launched by General Manager and Business Unit Head Captain Syed Rashid Jamil. 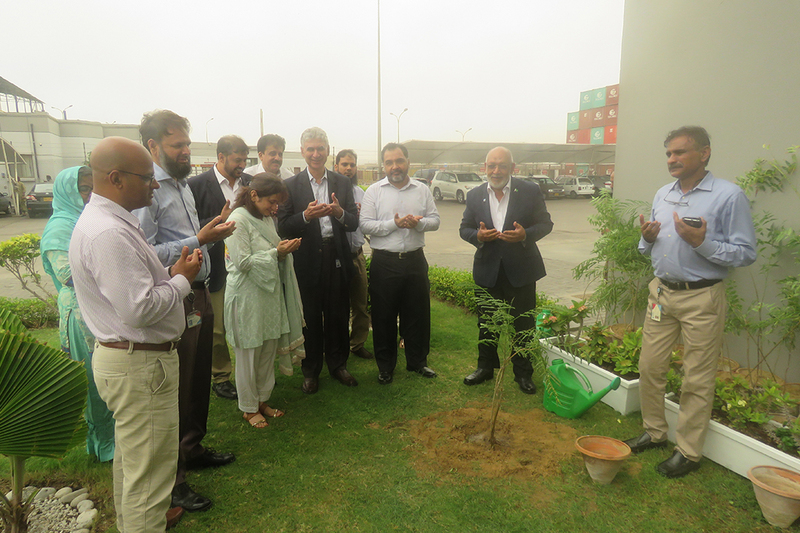 The activity was a small part of Hutchison Ports Pakistan’s larger plan to contribute to and play an active role in making Pakistan a greener and healthier country.